Each week, I open up the thesis proposal I wrote in March to re-evaluate my research goals and scroll down to the timetable that I’d created with my adviser. Looking at it, I’m realizing that I need to adjust the deadlines I’d set for myself. There were several unanticipated bumps along the road that had kept me from completing the bulk of my fieldwork for my research by the end of September. I felt disappointed and frustrated. Now that I had classes Monday through Friday, I wondered whether or not I could make up for a few months of fieldwork. For days, I contemplated over how I would reallocate my timetable and it proved to be extremely difficult. Without any data, I struggled to imagine the extent of my abilities to conduct interviews while juggling classes. It’s easy to schedule in time where I work on my literature review and put together my poster for a presentation for a Dietrich College Family Weekend event, but the interviews will require a few hours that include commute time, the actual duration of the interview and the time it will take for me to transcribe the recorded interview and reflect on the interviews as part of the analysis. The longer I wait for the IRB to approve of my study, the more anxious I am. Whenever anyone asks me how my research is going, I feel a knot in my stomach because all I’ve accomplished in the last week is adding a few more articles to my annotated bibliography. I still see my FORGE family on the weekends and it’s amazing how a few hours with them helps me relax. I relax because the conversations I have with them are not about my research. I relax because I can sit on their couch with them and watch Hindi movies without subtitles. I relax because they’re looking forward to celebrating the upcoming Nepali holiday. I relax because being present with them reminds me why I was motivated in the first place to pursue my thesis. I’m looking forward to my weekends as soon as my IRB proposal is approved, because I will be having conversations with a community that reminds me of the importance of the present. It’s ironic to me that as I constantly think about narrative inquiry, one of the methods I am using for my research, I realize that it’s much easier to talk the talk than walk the walk. Narrative inquiry is a methodology that encourages researchers to value the lived experiences of their subjects. I remember reading Lekkie Hopkins in March of this year and interestingly, I’m looking back at her abstract and making a connection to my own narrative as well as the narratives of the refugees I hope to hear soon. My own narrative, or my own lived experience, will be messy and chaotic at times and that’s how it should be. I know that this sounds cliché, but it really is important to live in the present. Too much time is spent organizing, and reorganizing, my Google calendar. I’ve adjusted my timetable, come to terms with it and moved on. Preparing open-ended questions and then developing follow-up questions that anticipate the kinds of narratives that could be brought into the interviews is a challenge. It is especially challenging when I am simultaneously redefining my role and presence within a community that is familiar with me. The first few interviews will be with a family who I have known since my freshman year at CMU. Over the years, I’ve been an in-home mentor to the family, helping with everything from teaching them the English alphabet to demonstrating how coupons work at the grocery store. The countless stories they’ve already shared with me during the weekend visits may have to be retold within the more formal context of my research. 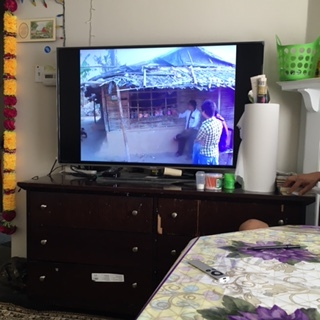 Just the other day, the family turned their television on and shared with me an hour-long video they had produced during their time in the refugee camps in Nepal. It was as if I was taking a walk through the camp with the family. I noticed everyone featured in the film looked a bit younger; it had to have been filmed at least four years ago. This was the first time they shared with me about their lives in the refugee camp. They didn’t have to say much; the sounds and moving images spoke for themselves. Occasionally, someone would stand up and point excitedly to the screen whenever he or she made an appearance. The shared experience in reliving the past with the family that only took place just a few years ago reminded me of why I chose to take a narrative approach for my research project. For the most part, I watched the video. What fascinated even more was what was happening in the living room I was in. The family and I were sitting on a couch watching the television screen. This was not just for me. I think they enjoy sharing with me a part of my past in this creative way, but more importantly, it is a chance for them to remember. The act of remembering is a powerful tool for humans. People keep journals, take photographs, film short videos and tell stories with others in order to document the memories. It is an empowering tool for humans to be able to remember. 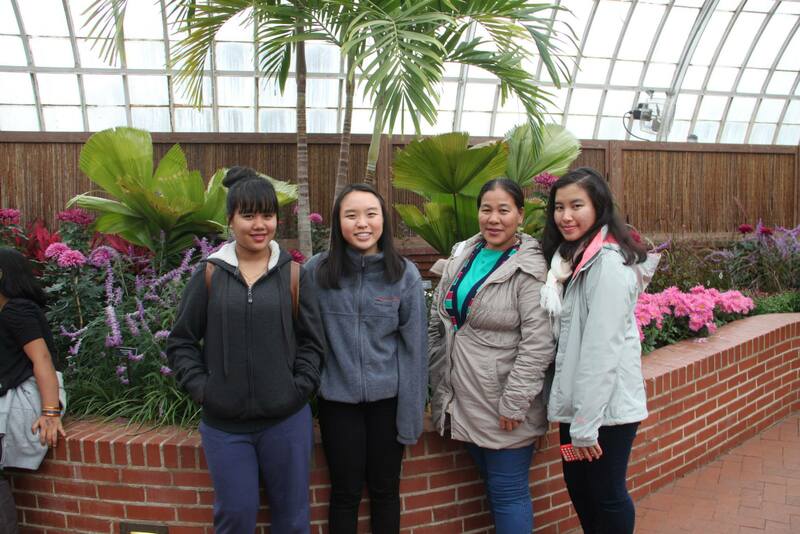 For the refugee family, it is especially important for them to share the past with someone who is a part of their new community in Pittsburgh. For a family who I consider to be friends and know me, what should my first question be? I will need to formally ask them for consent and ask them for biographical information – most of which I already know. Throughout the process of preparation, I realized how important it is to be intentional in forming each of the questions as well as the follow-up questions. I want them to feel empowered as they share their narratives with me. A great interviewer is someone who makes the interviewee forget that he or she is in an interview. I will need to redefine my role as a researcher with this loving family while maintaining the valuable relationship that I have already developed with them. I discovered that a lot of my inspiration in preparing for these interviews comes from ESL teachers who work with refugees. English teachers understand the importance of storytelling within the classroom. This derives from the idea of creating a lasting relationship with a new language. I will leave with you one particular experience from an ESL teacher stood out to me this week. 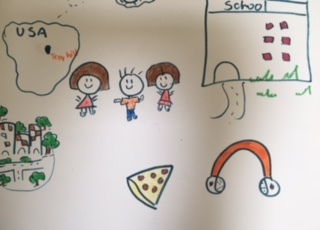 “As we struggled through the first writing assignments, I rejoiced as I saw the tentative beginning of their voices, powerful voices struggling for the words to speak their hearts.” –Approaches to Adult ESL Literacy Instruction.